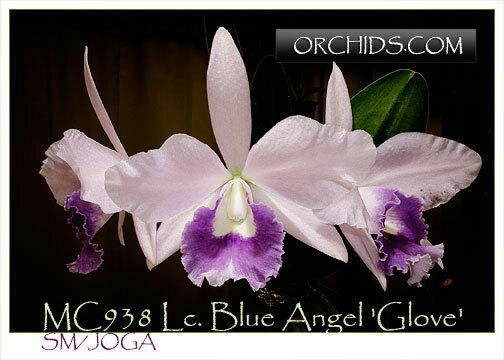 An exceptional Must Have ! 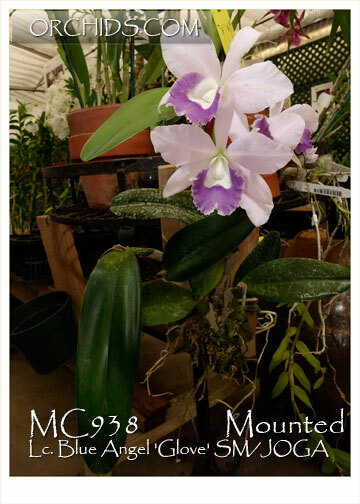 Deliciously true blue flowers are produced on this compact growing Cattleya with impressive clusters of 3-5 large fragrant flowers on mature growths, each flower accented with a bold deep blue lip. 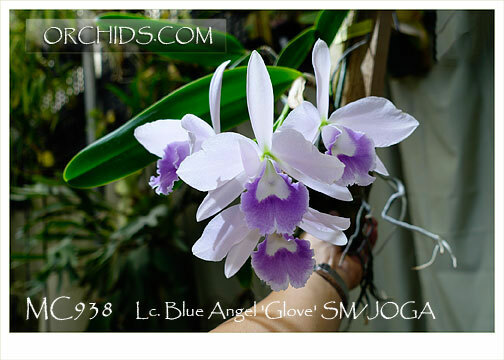 Its beautiful diamond-dust textured flowers have exceptionally good substance for a blue Cattleya. 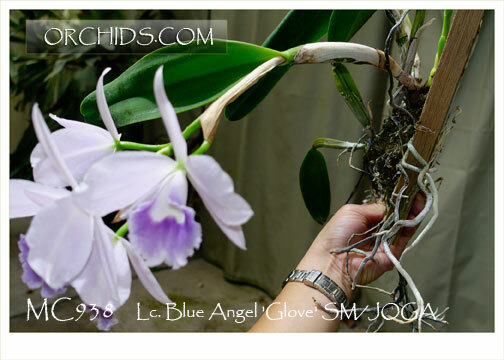 This clone, ‘Glove’, blooms spring and fall for us and is a proven hardy variety, excellent for mounting on a tree or growing outdoors in any frost free climate. 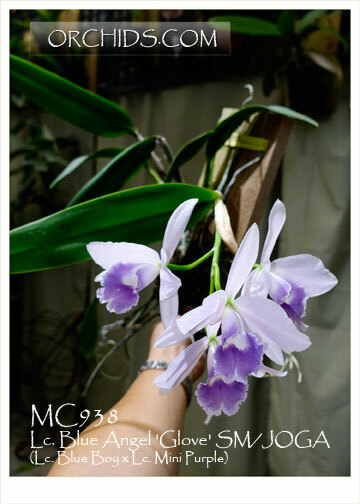 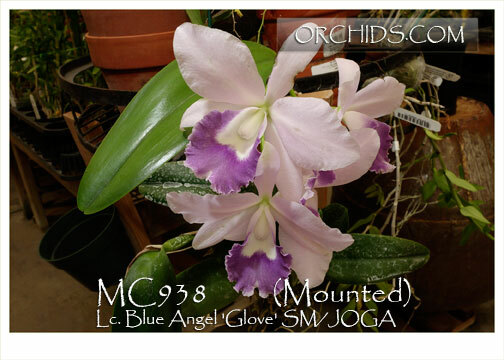 New from Japan and recognized with a Silver Medal from the Japan Orchid Growers Association. 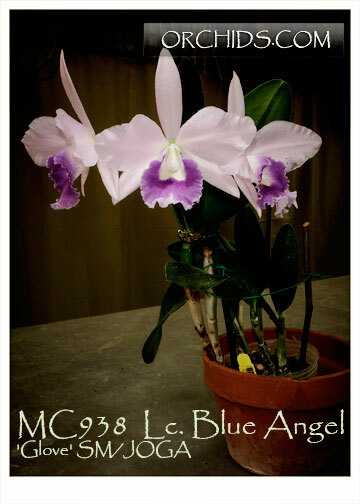 A very special blue not to be missed !